Leather Wine Rack–For Your Bicycle! 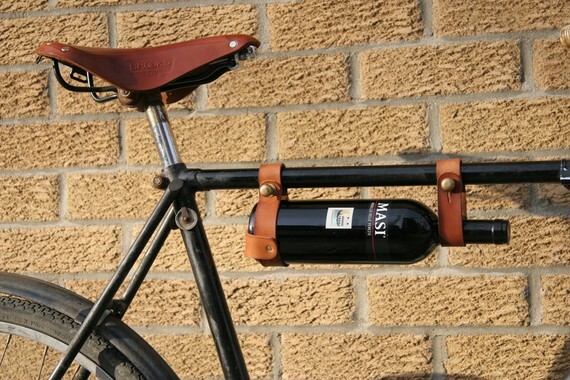 Just what I need–a leather wine rack for my bicycle! Love this!! While I have found that many wine bottles fit in a standard water bicycle cage (one of the many lessons in living from attending the Burning Man Festival), this is a very classy way to travel with your favorite beverage! This would be a very special and unusual Mothers or Fathers Day gift for the wine lover in your family! Now to figure out a way to carry wine glasses without breaking them! ← Where will you Rhone this weekend? oh, that’s a good pun, Jo!